The 21st edition of the ‘greatest show on earth’ has generated enormous euphoria and jubilation expectedly among the connoisseurs of football the world over. Statistically, the world cup football is the most widely viewed sporting event on the globe. A whooping 3.43 million people had watched the 2014 world cup matches live in the stadiums besides millions had watched ‘on-line’ that magnify the sky-rocketing popularity of the game of football. Interestingly, one of the distinguishing features of the ongoing world cup is the fact that this is the first ever world cup that is being played in two continents. Eleven out of twelve stadiums are in European Russia and the city of Yekaterinburg fall in ‘Asian–European’ border thereby making this world cup unique in itself and stand on a different pedestal. The present glittering world cup proposes to spend a staggering $14.2 billion for the quadrennial sports extravaganza thereby making it the most expensive world cup ever. Russia’s ability to keep inflation in check within its own country due to its stable economic condition and financial policies presumably afforded them to undertake such expensive venture. Time was when erstwhile Soviet Russia claimed that its price index had remained unaltered, unchanged from 1928 to 1950 although economy of rest of the world was badly impacted by Second World War. 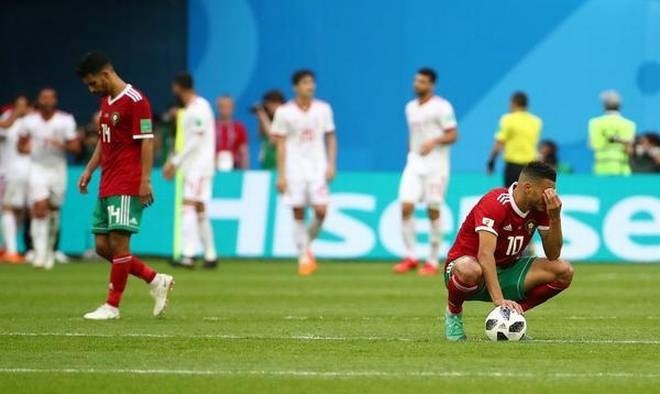 The most prominent, if disturbing, trend that has emerged in the on-going world cup’, almost assuming the proportion of a jinx, happens to be the number of “own goals’ or ‘Suicide’ goals ‘that have occurred, so far, much to the chagrin of the teams as well as connoisseurs. If the goals scored by Ronaldo, Kane or Suarez have been spectacular, the ‘own goals’ are saddening and head-dropping. Whether it is the mounting pressure of the opponent teams, the heightened expectation of the supporters for their national teams or iconic players to perform or ‘sloppy footwork’, the 2018 World Cup could hold the record for the most ‘own goals’ in the history of the tournament. The 1998 World Cup, so long, had held the dubious record of six ‘own goals’ scored in the entire tournament. In contrast, as many six ‘own goals’ have already been scored in the 46 matches played in the preliminary group stage!!!! And then, Russia embarrassingly scored a solitary ‘own goal’ against Spain in the pre-quarter match. However, Russia finally had the last laugh and beaten Spain to reach the quarter final. This is such mysterious stuff that possibly makes FIFA world cup worth watching and exciting. Aziz Bouhaddouz of Morocco, Aziz Behich of Australia, Oghenekaro Etebo of Nigeria, Thiago Cionek of Poland, Ahmed Fathi, Egypt, Denis Cheryshev of Russia are all the culprits, so far, responsible for scoring a goal each against their own team !! Needless to say, these upsetting suicide goals have yielded positive result to their opponent teams. In the context of so many ‘own goals’, I refrain myself from recounting the dreaded incident of Andres Escobar of Columbia purposely. In order to assist the referees to make correct decisions and to make the games more entertaining, exciting and less controversial, FIFA has introduced ‘Video Assistant Referee system’, described as ‘VAR’ for the first time in this world cup. 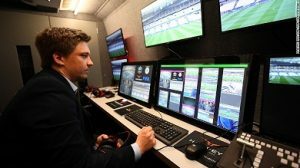 ‘VAR’ is football’s first use of video technology for greater transparency. The newly introduced system “intervenes in course of a match when the officials have made a ‘clear and obvious error’. Connoisseurs can never forget the ‘hand of God goal’ scored by living legend Maradona in 1986 World Cup Soccer. And then that cardinal error made by the referee in disallowing the English goal against Germany when the ball had rebounded from the goal line in world cup 2010. Endless such instances are there. ‘VAR’ ensures such mistakes are scrupulously avoided and games are played intensely. VAR’s decision to award penalty against Argentina in the all important tie against Nigeria highlighted the impartiality and fool-proof nature of the decision. The month long sports extravaganza till reaching its half way stage has been witness to scintillating football skill coupled with magnificent fighting ability and spirit by the minnows like Iceland, Japan, South Korea, Iran etc. Whether the ongoing world cup will unfold further new trends, distinguishing features and crowning glories lie buried in unforeseen future.